Midfield Press » NWSL Semi-Final Preview #1: Can Portland hold off the Pride? In a two-part series, NWSL staff writers Steve Hamlin and Garett Kerber are previewing the NWSL semi-finals set to take part this weekend. In Part One, Steve looks at the Orlando Pride’s visit to Providence Park. Tomorrow, Garett previews league-leaders North Carolina Courage hosting Chicago. Portland enters the 2017 NWSL Playoffs with arguably the most star-studded and experienced squad in the league. Twenty of the Thorn’s 37 goals on the year have been scored by a devastating attack comprising of Canadian legend Christine Sinclair, Danish rising star Nadia Nadim, and Australian youngster Hailey Raso. 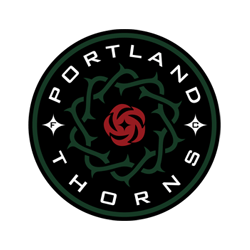 Lindsey Horan and Allie Long anchor a mid-field playing in front of a back-line that has allowed a league-low 20 goals this season, with Adrianna Franch earning a league-record eleven shutouts in the process. Further, Tobin Heath returned to the Thorns lineup two weeks ago, only adding to the options available. Oh, and don’t think they’ve forgot about last year’s semi-final. Another point of possible motivation for the Thorns are the imminent departures of Nadia Nadim and Amadine Henry, who will move each move on to Manchester City and Olympique Lyon, respectively, at the end of the season. Orlando makes an emphatic appearance in this year’s playoffs after finishing ninth in last year’s standings. Powered by the red hot Alex Morgan and MVP candidate and world legend Marta, the Pride have not lost since late July, outscoring their opponents 21-8 in that span. Tom Sermanni’s squad have scored 45 goals this year, topping the NWSL. 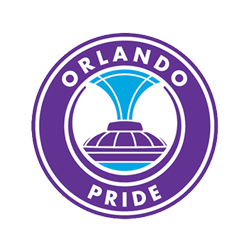 Defender of the Year candidates Steph Catley and Ali Krieger, along with USWNT ‘keeper Ashlyn Harris, have anchored a Pride defense that has allowed 31 goals this season. “Huge loss, to be honest. She was – basically shoulder charged off the ball and went over and tore her ACL … and no free kick was given. It’s a big loss. She’s been in stellar form this season, as the year’s gone on she’s just gotten better and better, and as games go on she gets stronger and stronger over the 90 minutes. The old sports cliche lauding “best offense against best defense” as the best matchup one could ask holds up in the NWSL. Alex Morgan and Marta are set go up against the likes Meghan Klingenberg, Emily Sonnett, and Emily Menges. Does it get any better? The answer, obviously, is a resounding no. Look for Mark Parsons and Tom Sermanni to play a world-class game of tactical chess. While Sermanni has lived and died with a regimented back four, Parsons has switched between three and four in the back, occasionally opting for Meghan Klingenberg (six assists) to be pushed up as a midfielder. The loss of Camila obviously limits Sermanni’s options to add to Morgan and Marta, but look for one of the Pride’s talented supporting cast to step into wherever Camila would feature against Portland. If that isn’t enough, Portland defender Emily Menges sent an early banter shot the way of Alex Morgan during a Q and A on Twitter. Steve – This game is going to be a whole lot of fun. The players involved in this game alone scream excitement let alone the stakes for both sides. Simply put, I hope you have a really good reason if you aren’t watching this match Saturday. Unless a moment of sheer brilliance is brought out by either set of attackers, I don’t see this game ending after only 90 minutes. Tom Sermanni’s defense is too tactically solid, and Mark Parson’s side will surely soak up pressure and let a back four fend off Alex Morgan and Marta. These two clubs are too evenly matched to decide a winner in regulation. I say Portland avenges the demons of Lynn Williams in Providence Park, 2-1 in overtime. Tobin Heath creates the late winner and Nadia Nadim scores it to keep her fairytale 2017 going. Garett – Of the two semis, I expect this one to have more fireworks. Tobin Heath’s return along with 75 minutes of match time to round her back to match fit makes Portland an even stronger side. I’m predicting goals from September player of the month, Marta, and Alanna Kennedy for Orlando, but it won’t be enough. A fresh Heath will play a major role in creating 2 of 3 Portland goals. I’m gonna say Allie Long, Nadia Nadia, and Lindsey Horan all get one, with Horan’s being the game winner. The Thorns ride high into the Final with the 3-2 victory.